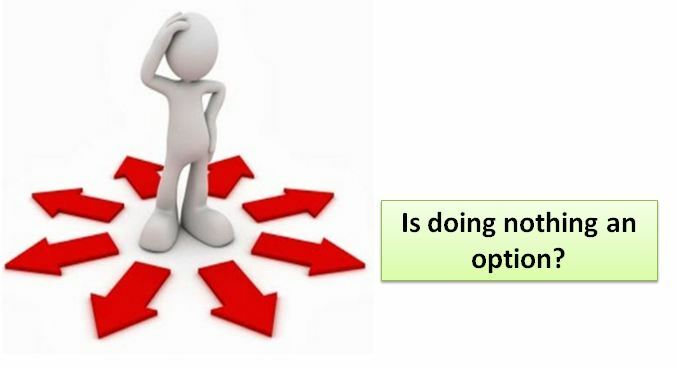 Cancer: Is doing nothing an option? 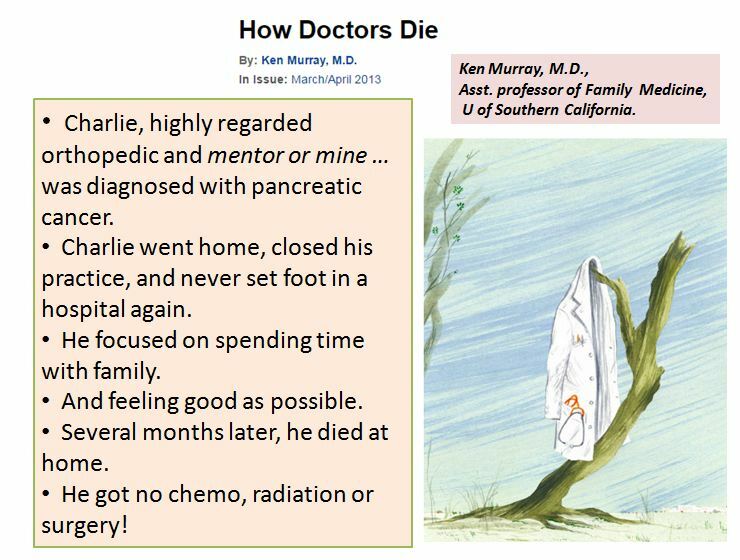 If you or someone in your family is diagnosed with cancer, you may wish to take time and reflect on the following. 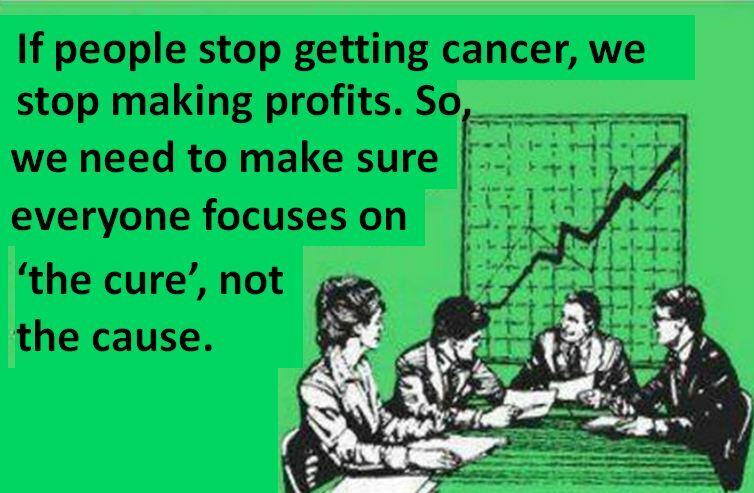 In 2012, there were 37,400 new cancers and in the same year 21,700 died of cancer. 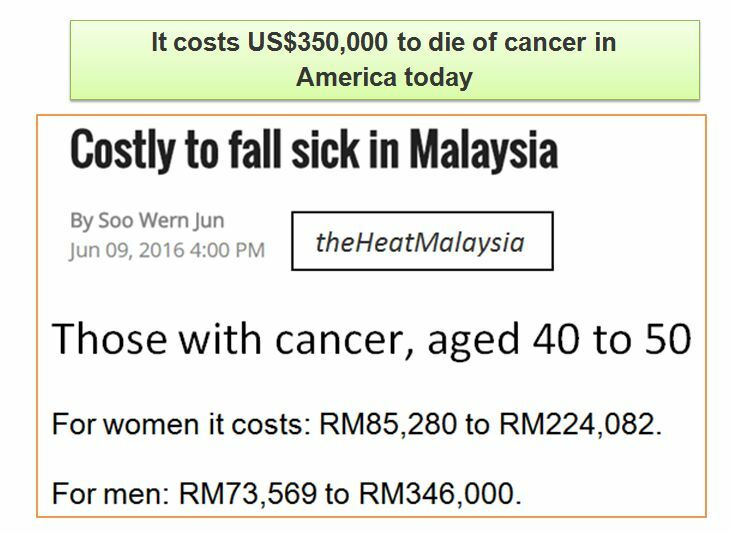 That’s a lot of death due to cancer, in spite of them being treated? 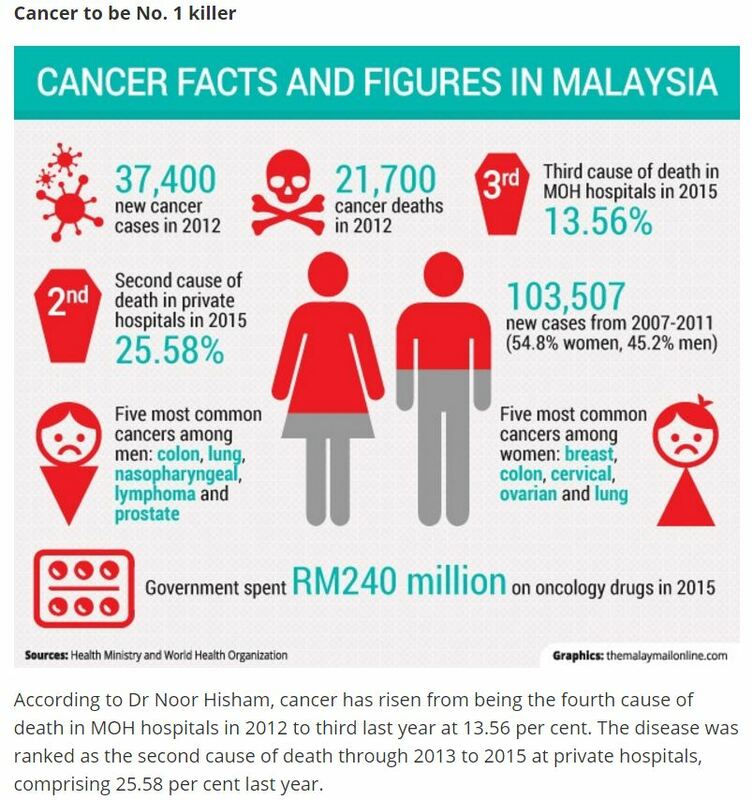 The most common cancers in Malaysia are: colon, lung, NPC (nose), lymphoma and prostate for men. For women — breast, colon, cervical, ovarian and lung. 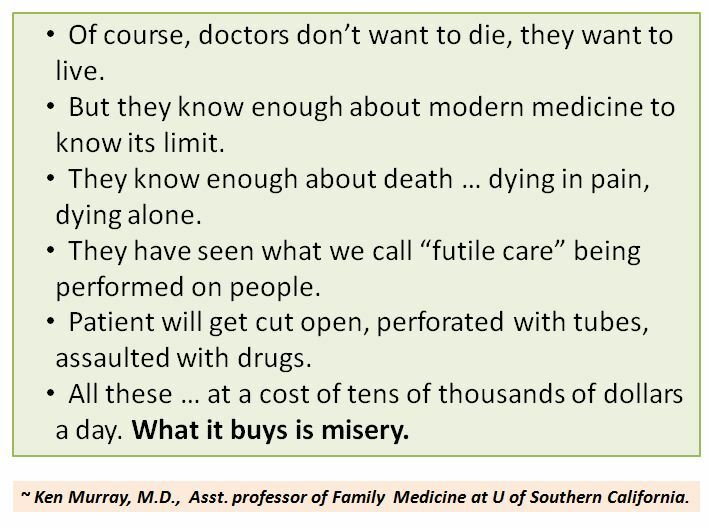 We do not know WHO will get WHAT cancer in our lifetime. 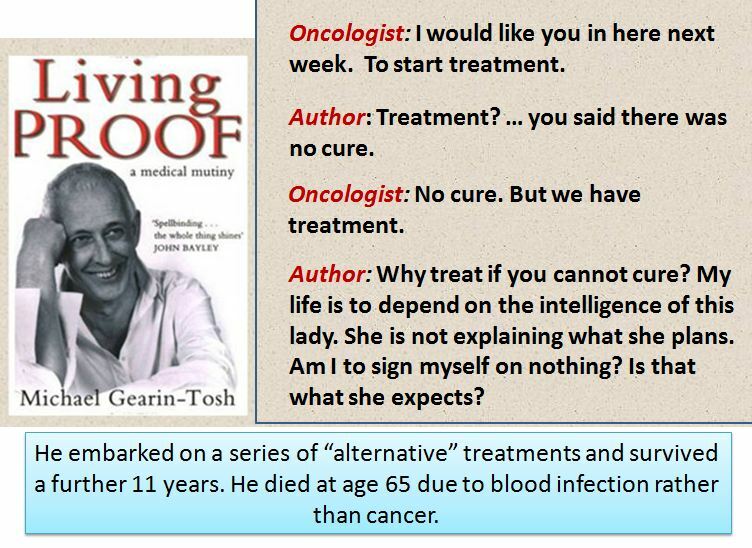 But do we have to wait until we get cancer to know what went wrong? That would be too late! We know that bad diet (e.g. smoking, excessive sugar intake, alcohol, etc.) and unhealthy lifestyle can lead to cancer. 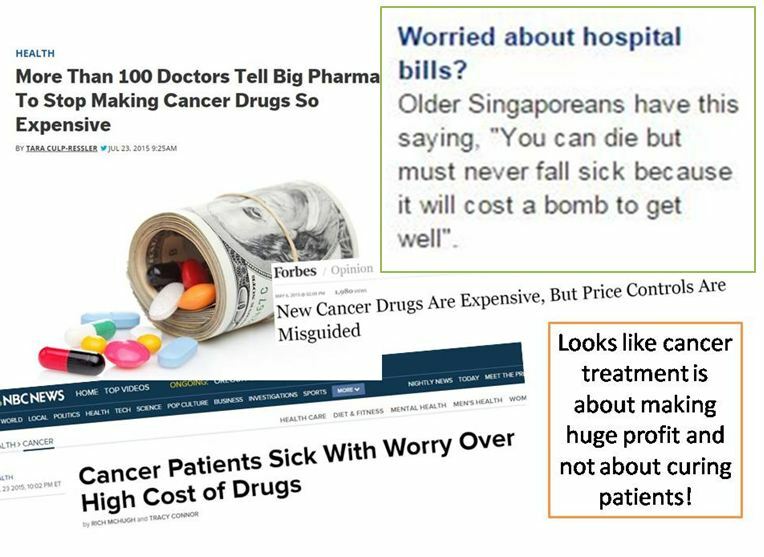 Instead of spending so much money to treat cancer why don’t we spend money to learn how to “prevent” or minimize the chances of getting cancer in the first place? Bah, who is interested in that! 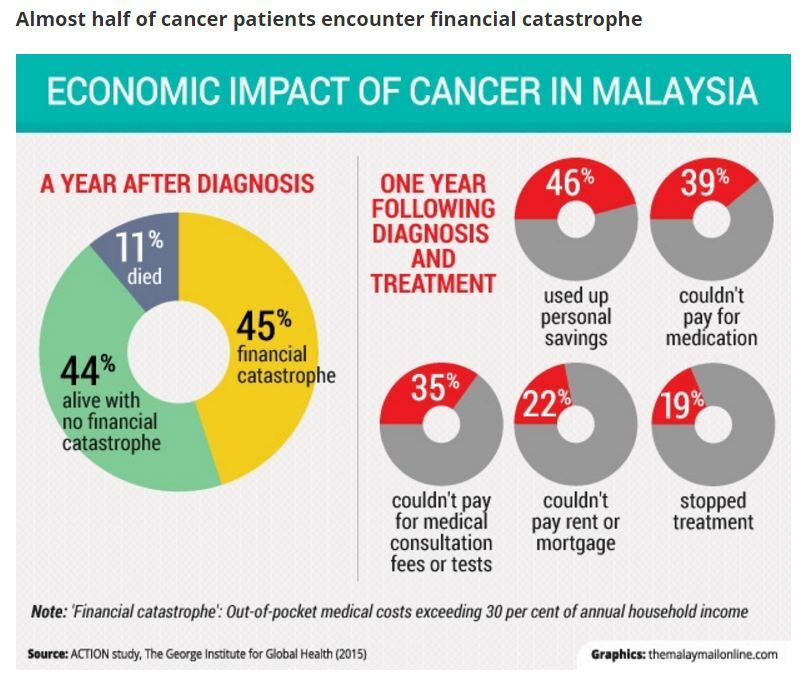 The cost of cancer treatments is expensive. You may need to spend all your lifetime savings, pawn your jewelleries or sell your property — land, house, etc., to pay for these treatments. What ???? 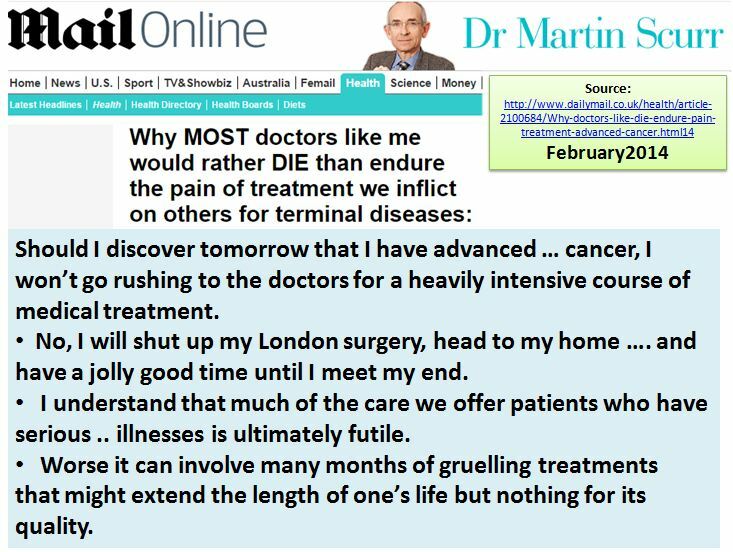 … you may die sooner if you undergo all those treatments dished out to you. 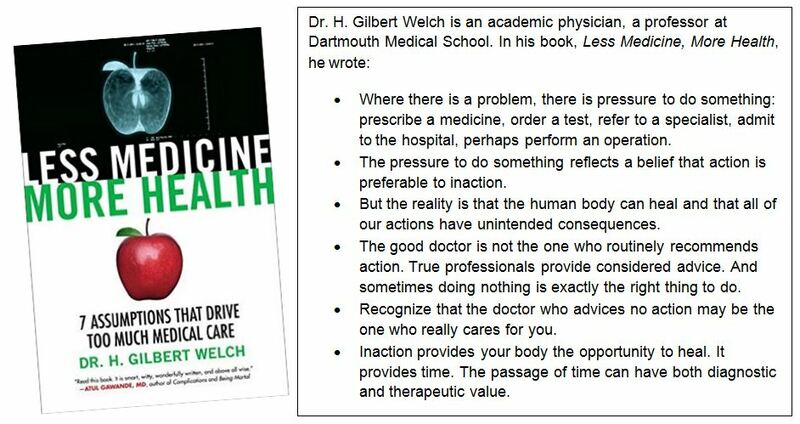 Doc., you can’t be right on this? What ??? again ???? 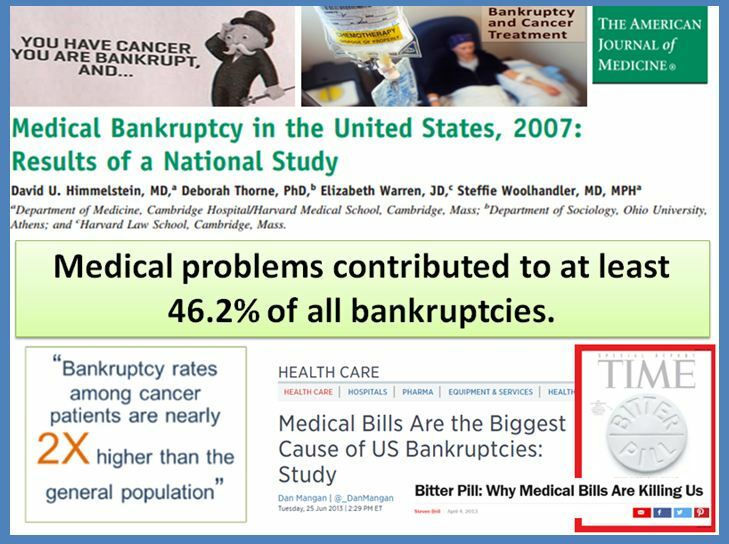 … chemotherapy is a waste of money? 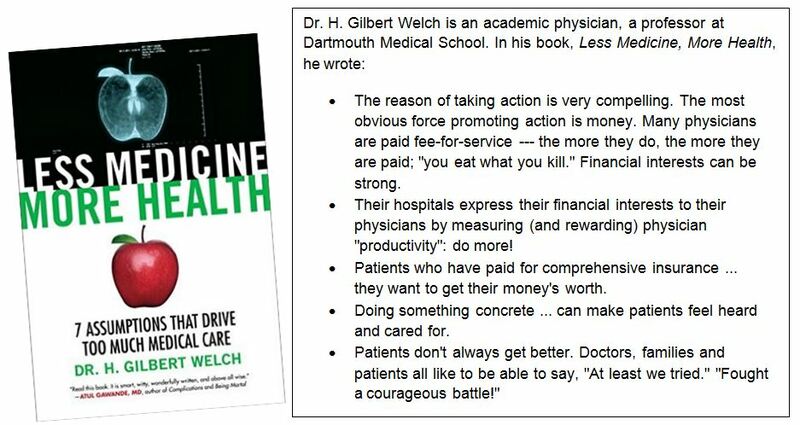 Hi doc., you must be joking, right? 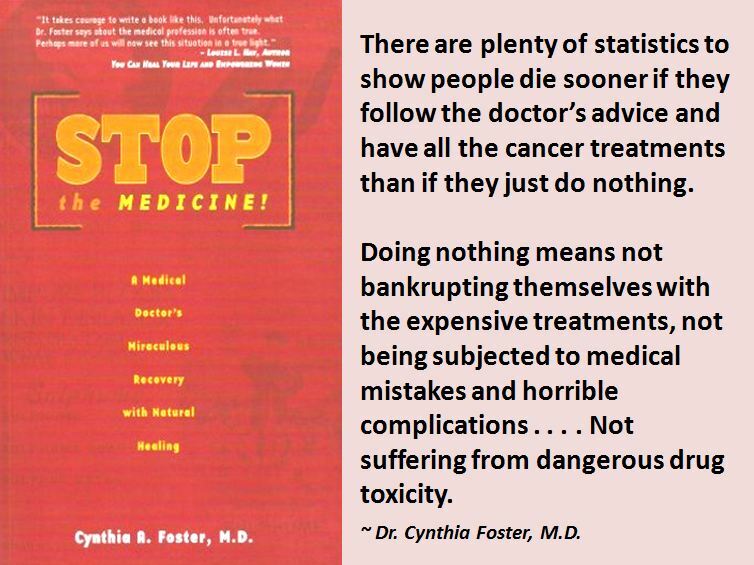 This entry was posted in Advice to Patients, Medical treatments and tagged cancer, do nothing by CA Care. Bookmark the permalink.